Options for Community Living, Inc. > News > Options for Community Living, Inc. Employees Give Back! Options for Community Living, Inc. (Options) has been an active partner with Long Island Volunteer Enterprise (LIVE) for more than 10 years. LIVE pairs Long Island corporate volunteers with not-for-profit organizations, encouraging companies to give back to their local communities. This year, for the first time, 31 employees from Smithtown-based nonprofit Options volunteered a total of 170 hours to help two Long Island nonprofit agencies: The Book Fairies in Freeport, New York, and Long Island Against Domestic Violence. The Book Fairies is a not-for-profit organization that collects new and gently used reading material for people in need throughout metropolitan New York. Their mission is to foster literacy and academic success, provide a respite from personal struggles and nurture a love of reading across age groups. Options’ employees spent the day sorting and packing books to be distributed to schools and community organizations in high-poverty locations. 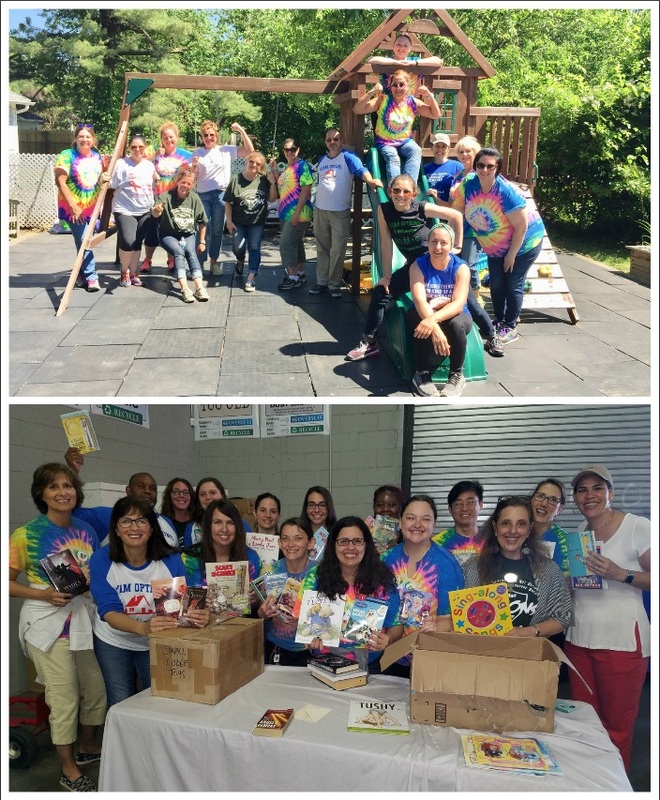 “They came to our warehouse with smiling faces, colorful tee-shirts and abundant enthusiasm to spend the day sorting thousands of donated books into appropriate categories for our up-coming free book fair for teachers. We wouldn’t have been prepared for the event without their help,” said Rebecca Kennedy Lakhani, Book Fairies executive director! Options’ employees were happy to know that their work had made a difference. “I loved reading as a kid, so it feels good to have a small part in helping another kid perhaps learn to love reading too,” said Jessica Schwab, Options’ Development Assistant. Options’ employees also volunteered with Long Island Against Domestic Violence (LIADV),which is committed to the empowerment of victims and survivors of domestic violence providing them with shelter and support and working with law enforcement and the community to prevent abuse. The Options’ group completed a spring clean-up project of gardening, painting and more! “We are so grateful for the volunteer efforts of the Options’ staff. Their dedicated efforts enhanced the shelter making it a more welcoming environment for our residents. It looks beautiful,” said Ashley Huston, shelter director.